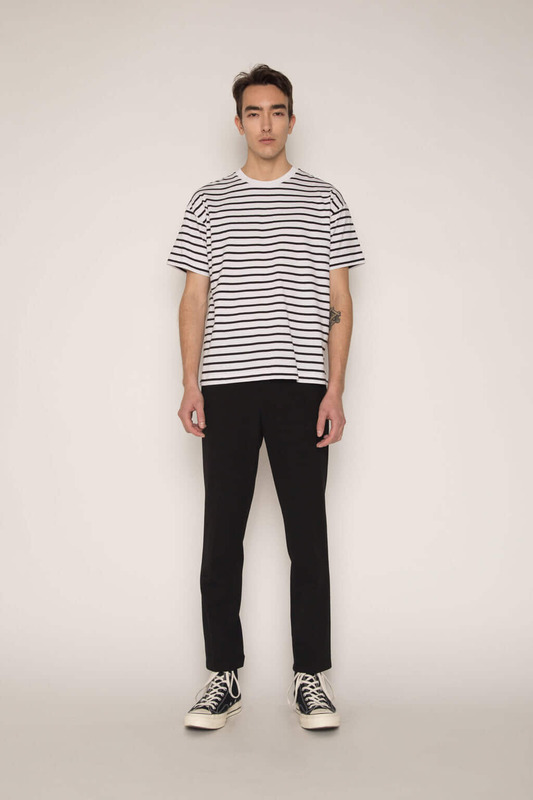 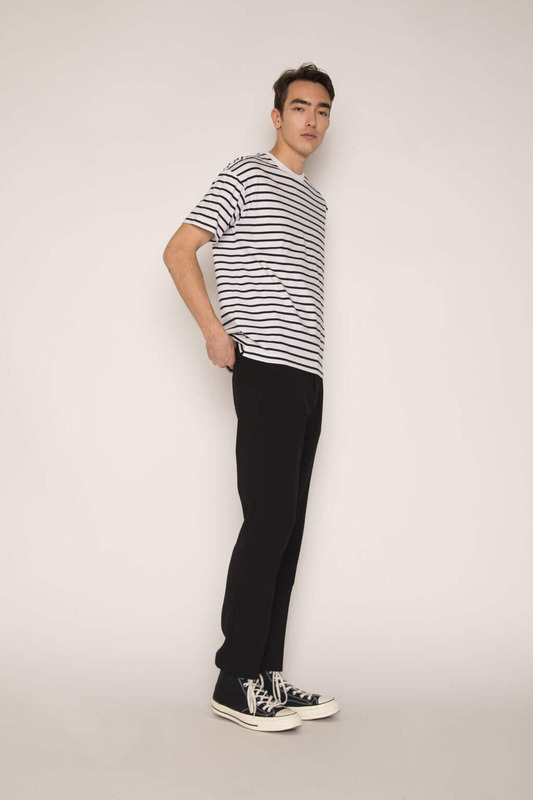 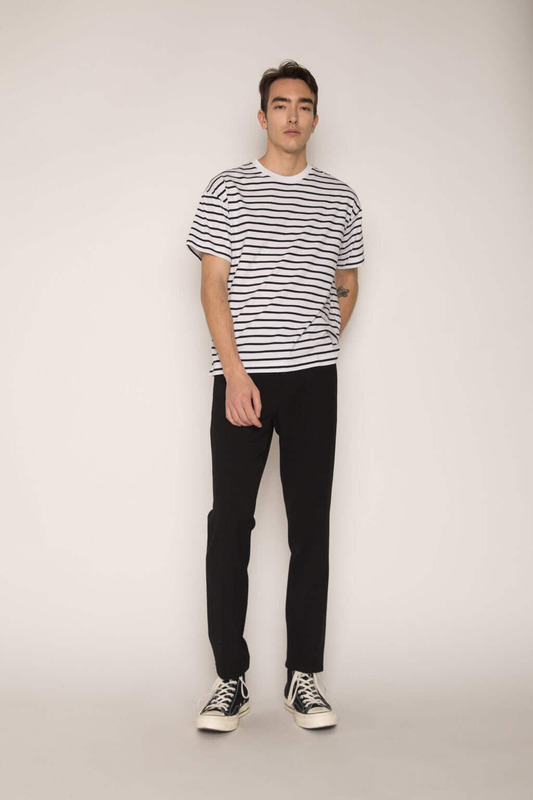 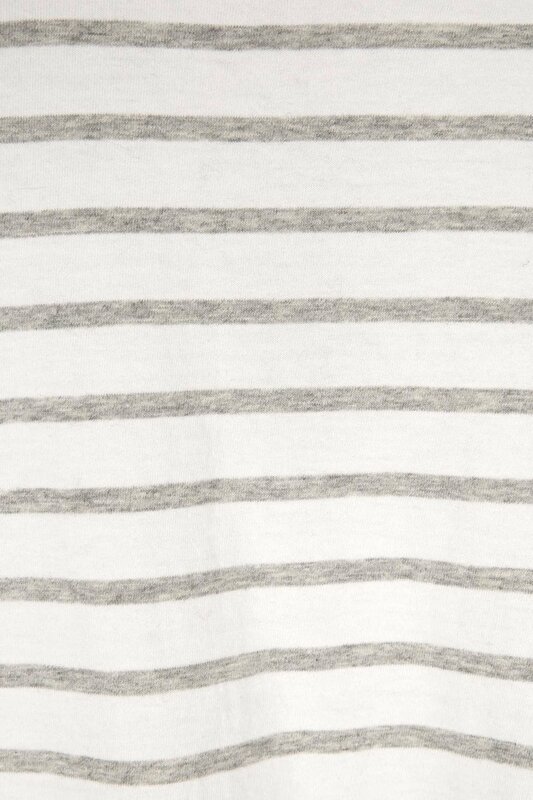 Crafted from 100% cotton, this t-shirt features clean stripes for a classic look. 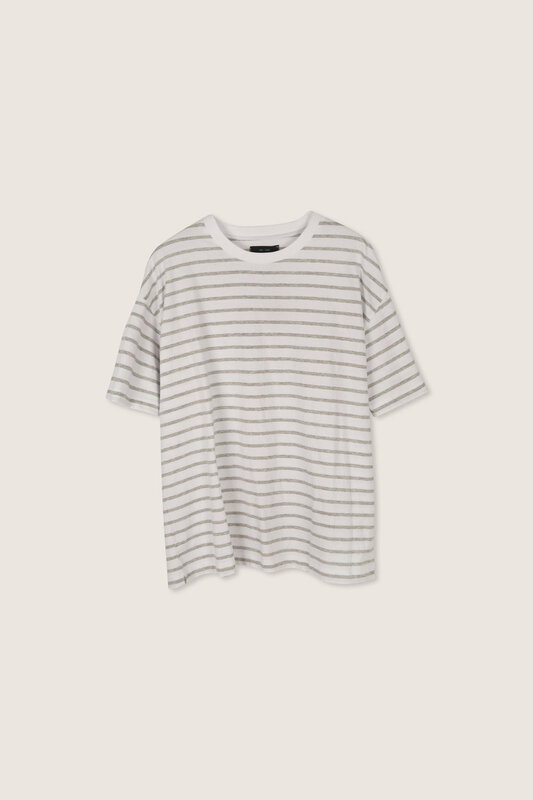 A basic for all seasons, layer or wear on its own. 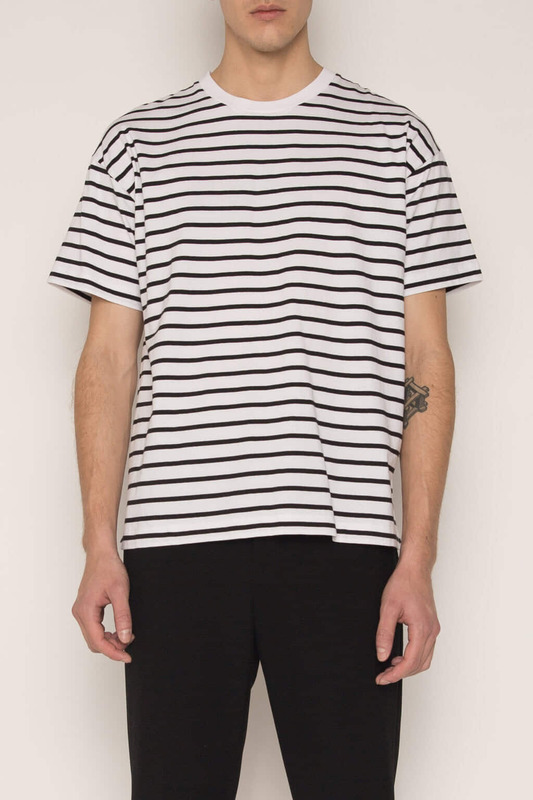 Pair with trousers and a bomber jacket for a clean and casual look.